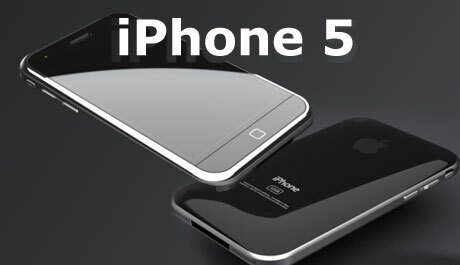 In our previous blogpost we had already discuss the Expected Design and Body of iPhone 5 and now we will discuss What is Tactile Touch Screen of iPhone 5?. During iPhone’s initial launch, back in 2007, gadget lovers were greatly impressed by the elegance and practicality of the device, but some expressed concerns over the nonabsence of physical keys. Unless you took a close look at the screen, it was very difficult to say what numbers or letters you had typed. Though iPhone 2007 triggered sounds when a key was pressed, there was no user-friendly feature that could really suggest if a key or button was touched. Nevertheless, after five years of constant ingenuity, iPhone has emerged as the most-liked Smartphone in the world today. However, still so many gadget worshippers feel that the digital keypad is not as fulfilling as the physical keypad. Not too long ago, Fremont, a California based company announced its answer to critics who crave for a touchscreen keyboard. It unveiled the cutting-edge keyboard at the SID Display Week 2012 by showcasing a prototype of an interface with distinctive keys that kept appearing and vanishing at every touch. Tactus said during the launch that the world will witness ‘dynamic touchscreens’ in the coming months. Tactus also demonstrated using an Android tablet prototype how the keys, on the user’s instructions rose out of the screen and receded back when not in use. Tactus uses a new technology called “microfluidics” in which the top layer of the touch screen is replaced with a flexible membrane. When the key starts functioning, droplets of oil are released through the minute channels in the membrane thereby expanding the keys (or buttons). When the keys are pressed, the oil gets drained away and the membrane disappears, thus displaying the flat look of the touch screen again. The whole process might sound a bit complicated but Nathan Ingraham of The Verge’s, after having a long discussion with Tactus CEO Craig Ciesla, said that the channels are predominantly invisible. He also elaborated his own experience on touching the Android Smartphone’s screen. The device gave feedbacks when the key appeared and disappeared, but the physical process of touching the keys didn’t trigger much feedback. He also enunciated that the touchscreen, in most instances, triggered responses even before he could actually feel the fluid spreading through the keypad. But once he noticed the outlines of the fluids, he was able to see the appearing and disappearing acts of the keys quite with no trouble. He also expected that the future versions will blend the microfluid channels more easily. One common prediction among the iPhone worshippers is that if these features are not incorporated in iPhone 5 then it is likely that they will feature in the future versions. Just imagine if a touchscreen model can shelter physical buttons while retaining its original features then there is no reason why the attempt shouldn’t made. Feeling the touch of the buttons on a Smartphone would help users accomplish their tasks effortlessly that would otherwise require a keyboard. No doubt, the touchscreen technology sounds great, but we will have to wait till this year end or may be until the first half of next year to see how the Tactus Technology brings forth its dynamic touchscreen. The bottom line is: this incredibly new technology may or may not feature in iPhone 5. Let’s wait and watch!